Interviewing for a new job is stressful, especially when you think you’ve found the perfect position (and company). It can be difficult to find the perfect balance of appearing qualified and confident in your experience while remaining approachable and easygoing. Here at Flywheel, we acknowledge that! It’s part of why we go above and beyond to ensure that every single candidate feels comfortable when they arrive (or Zoom in) for an interview. 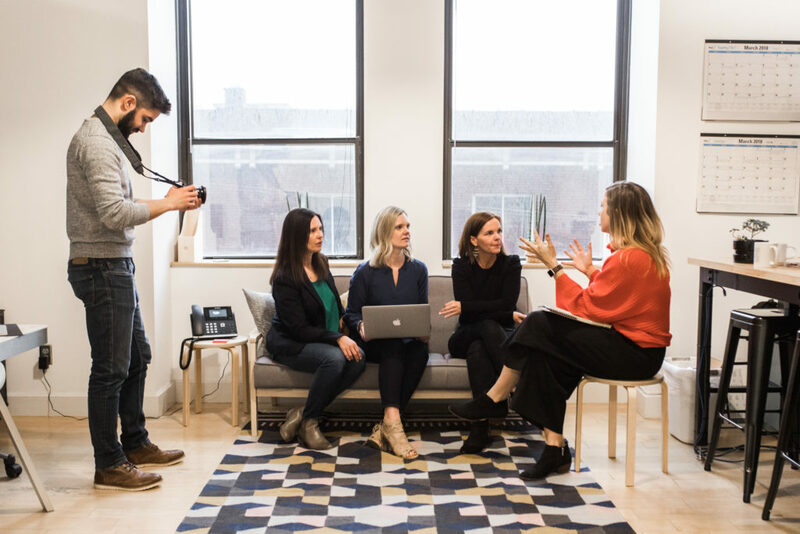 After doubling our team’s size in about a year, we’ve seen our fair share of interviews. That’s why we wanted to provide a few tips on what separates an outstanding interview from just a typical one. Whether you’re applying at Flywheel or somewhere else, it’s always a good idea to research the company before you head into your interview. Take a few minutes and read their about page, scroll through their social media channels, and finish by conducting a quick Google search to make sure you didn’t miss anything! Meet Erika, one of our sales development reps! 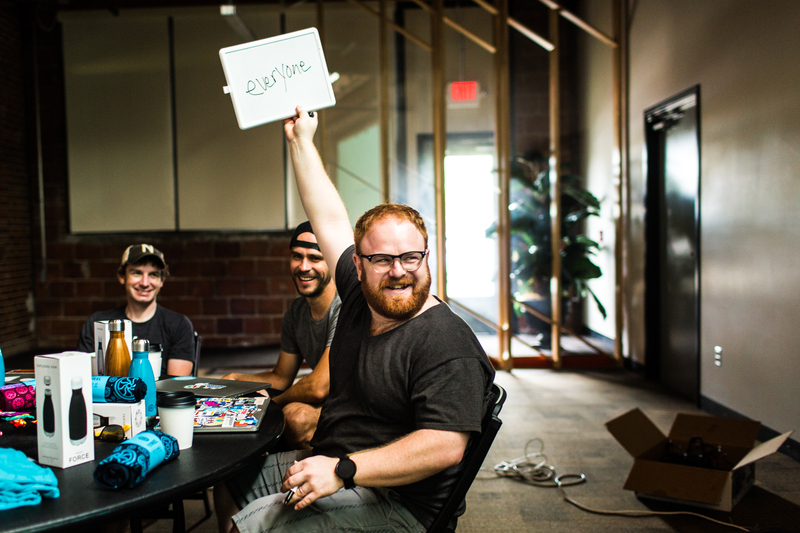 We take immense pride in what we do here at Flywheel and hope that anyone who wanted to join our team would feel the same way. Be sure to know what we do (no, we don’t build websites), who a few of our key customers are, and a little about the WordPress community, in general. Joao, one of our Australian happiness engineers, reflecting on his interview experience. We want to know the specific events and pivotal moments in your professional life that helped shape your career so far. The kicker? Keep it short and sweet! Let us know what distinguishes you from the rest of the pack and don’t be afraid to tell us how you’ve made your mark. 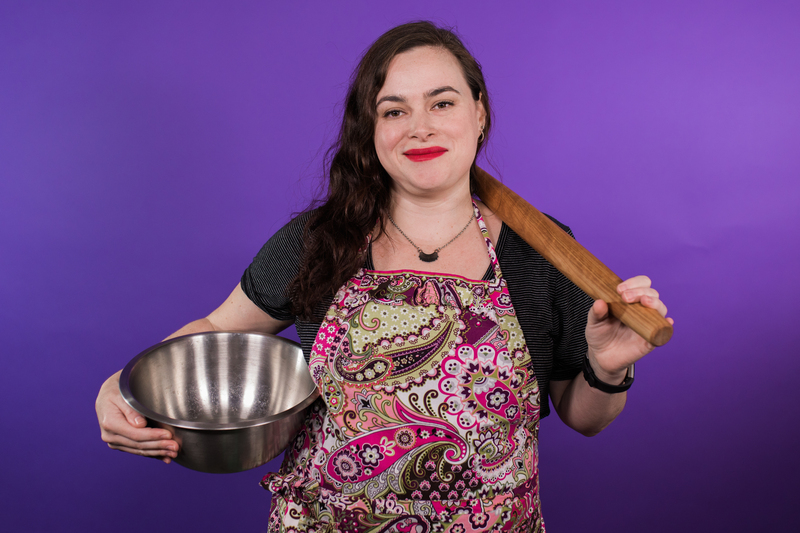 Meet Kim, a happiness engineer (and master baker)! Flywheel is full of passionate people! We have musicians, calligraphers, bike riders, foodies, theatre directors, fitness enthusiasts, animal lovers, gamers, and so much more! Chances are if you care deeply about something, someone else on our team does, too! Don’t be afraid to let your true colors show during your interview because we’re curious to know what makes you, you! Kimberly, our in-house photographer, chatting with one of our amazing clients, Novella Brandhouse. We know you’ve likely heard this a time or two before, but only because it’s so important: create connections! If you know someone who works for Flywheel, don’t hesitate to reach out. Each Flywheeler has been through the interview process, and we’d be happy to share our experiences with you. You may even gain some insight on the challenges and responsibilities you can expect if you do join the Flywheel family. Meet T-Rave, head of hosting operations! Don’t forget that you’re interviewing us as much as we’re interviewing you! 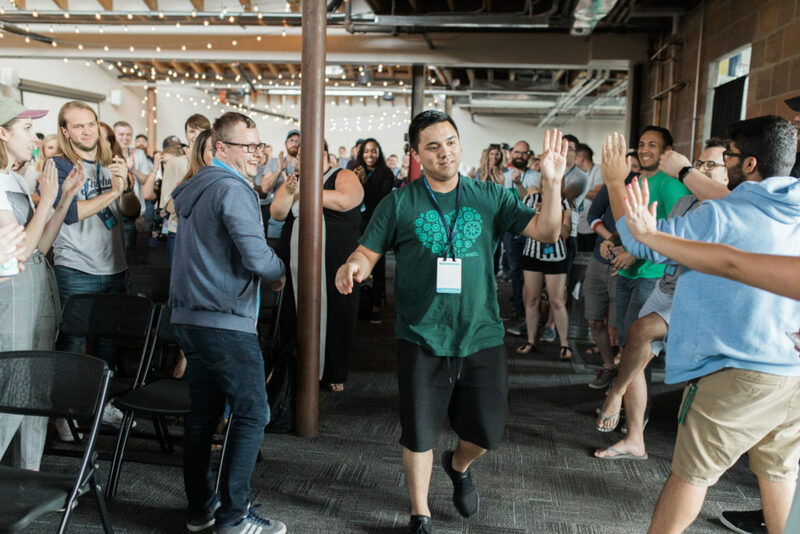 This is your time to learn more about what Flywheel does, what we stand for, and if our values and goals align with what you’re currently looking for in a company. Ask us anything – we’ll answer your questions to the best of our ability. Britt and Rese working (and playing) hard! 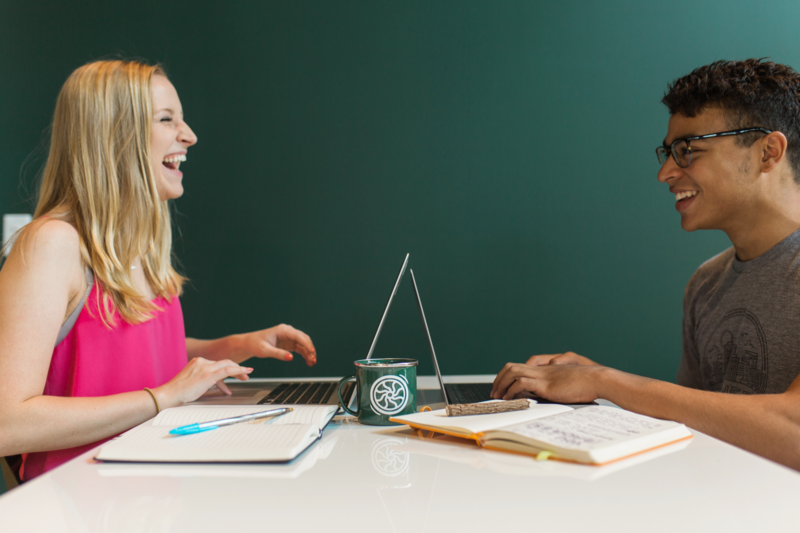 We hope that by the end of your interview, it felt like you just finished chatting (and sharing some laughs) with your potential coworkers! 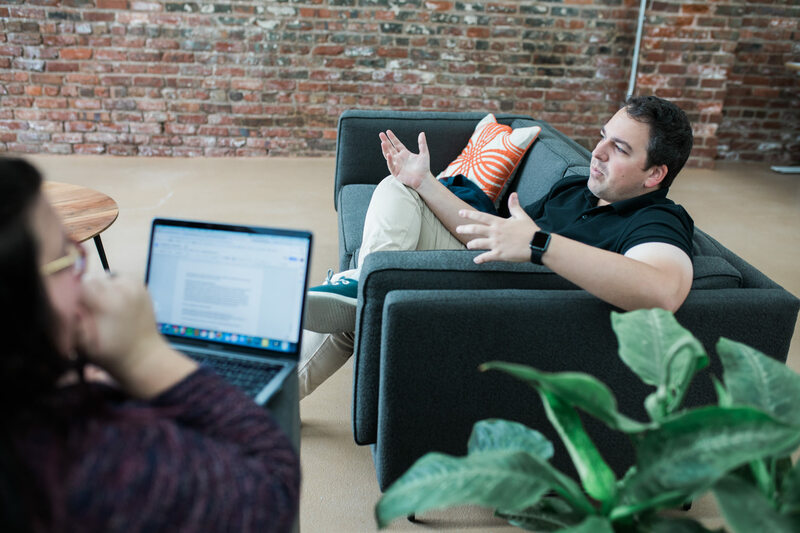 Everyone you meet during the interview process is there to give you a sense of what it would be like to work at Flywheel. Don’t come into it thinking it needs to be full of stuffy, structured conversations. Relax, and have some fun! The last thing we want is for you to feel nervous or uncomfortable. All good things must come to an end! As the interview is wrapping up, be sure to thank the interviewer for their time and follow up with a quick email. Want to take it a step further? Send some snail mail. We love getting letters! Meet Juan, the winner of this year’s Flyest Five award! 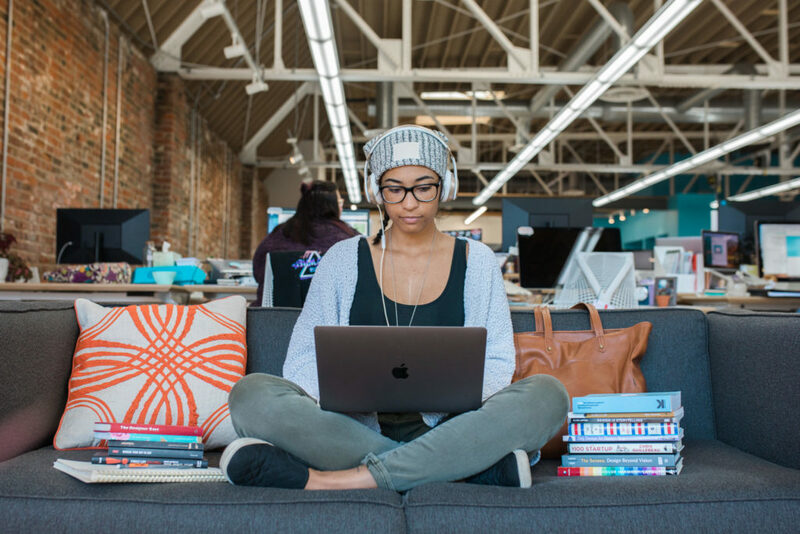 We hope these tips put you at ease if you’re in the process of applying to work at Flywheel (or any company for that matter)! If you’re still feeling uneasy, check out the five qualities we’re always looking for in future Flywheelers. Don’t have an interview with Flywheel, but want one? Check out our careers page frequently – we’re always on the lookout for amazing people. If that sounds like you, we’d love to chat!